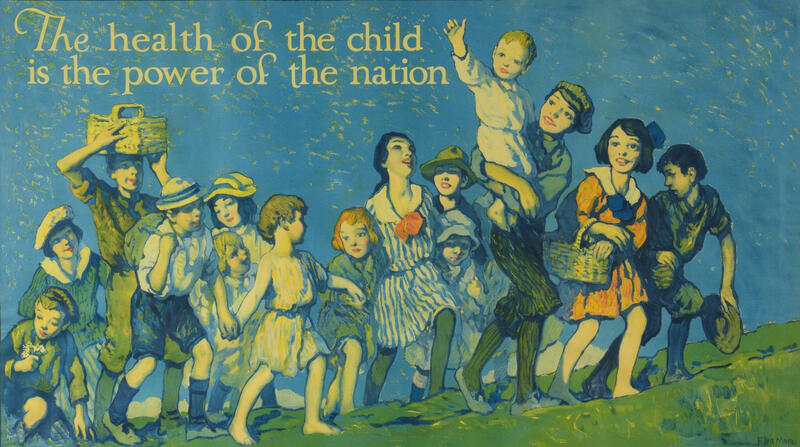 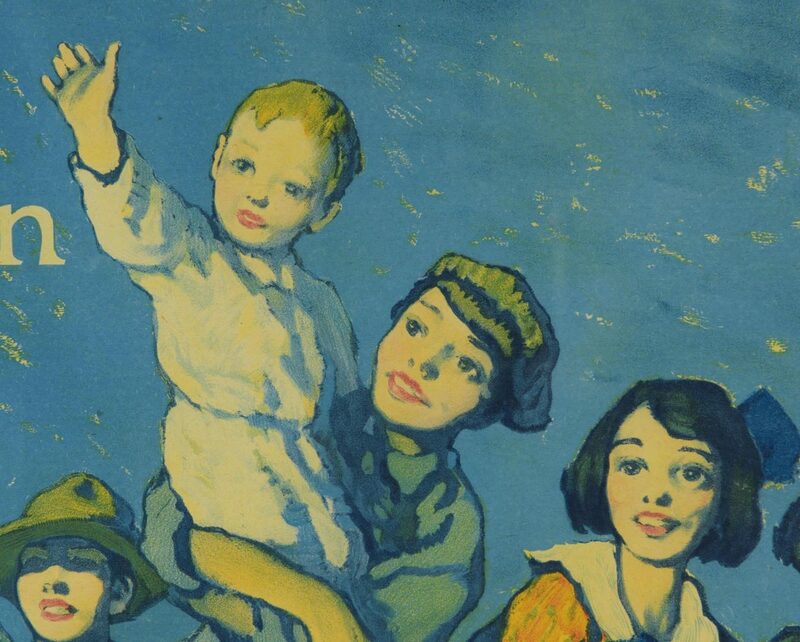 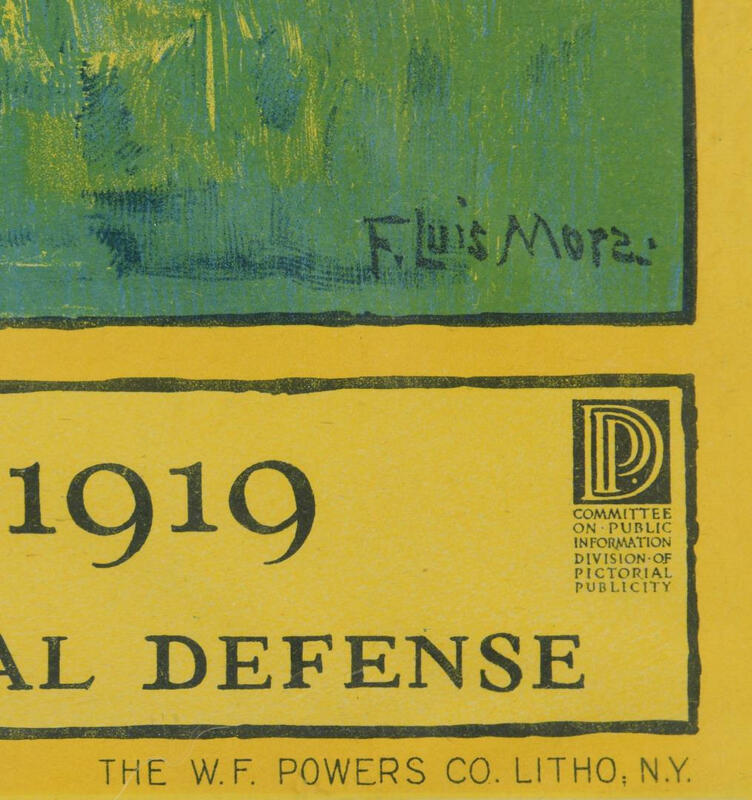 1919 Children's Year poster for US Children's Bureau and Woman's Committee of the Council of National Defense, artwork by Francis Mora (CT, NY, 1874-1940). 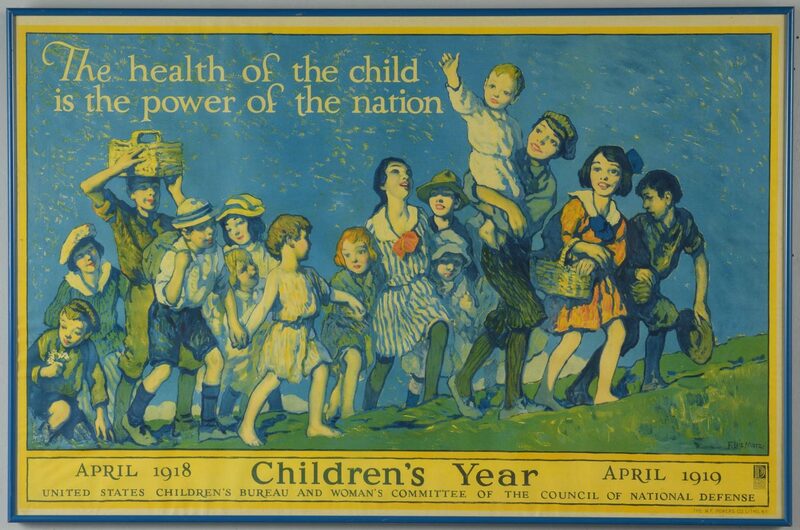 "The health of the child is the power of the nation", illustation of large group of children merrily walking up a hill, lithograph published by WF Powers Co, NY. 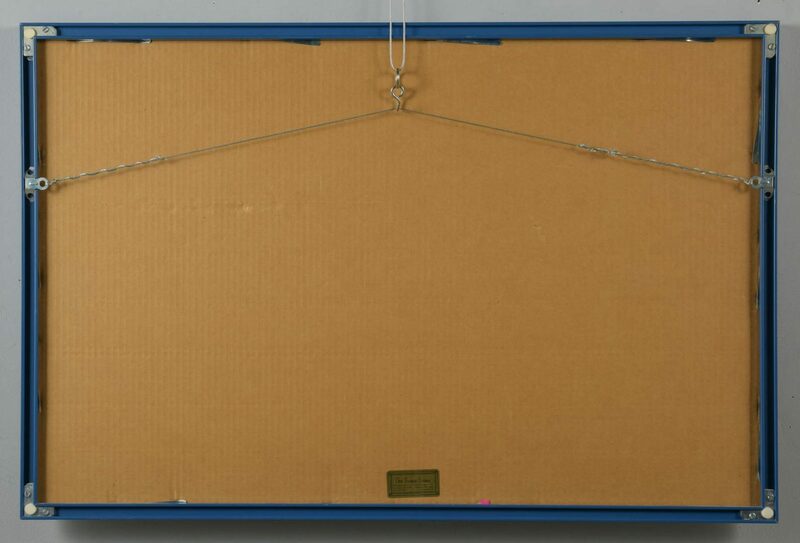 Sight: 18 3/4" H x 29" W. Blue metallic frame: 19 3/4" H x 30" W. CONDITION: Some rippling of paper in frame.